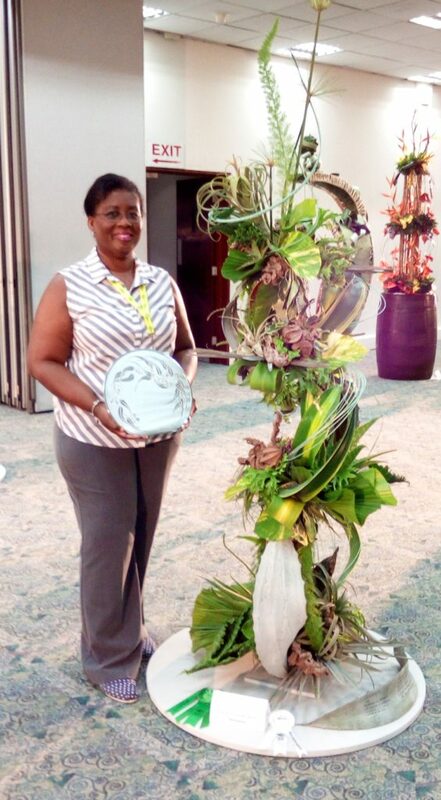 What an exciting time we had at WAFA Barbados – Flowers In Paradise. A selection of images can be found in the galleries section. 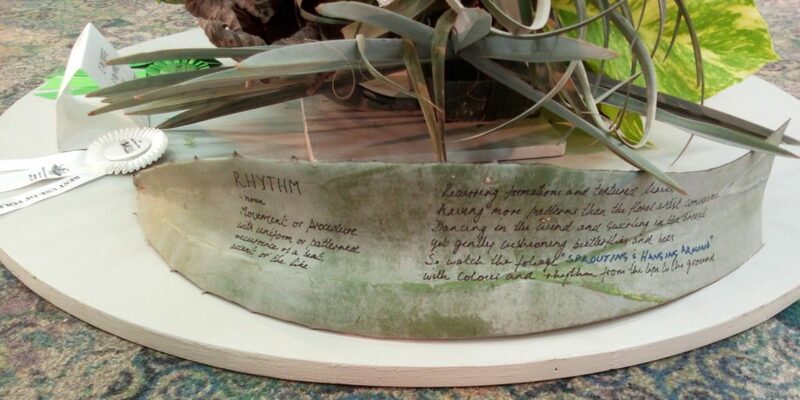 The AFAA sponsored prize for Best Use of Foliage went to Jackie Ferdinand from Barbados for her design in Class 3 Rhythm. Jackie was thrilled with the silver tray and plans to show it with great pride in her home. Here is a short interview where she discusses with Kim Baillie how she planned the design from the time the Show Schedule was released 12 months earlier.